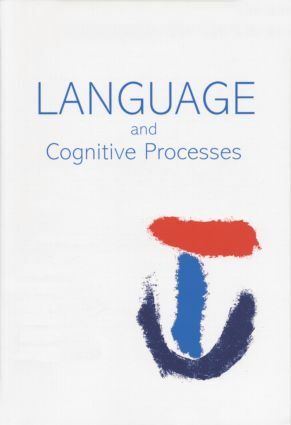 This special issue on language production is based on a selection of contributions to the Second International Workshop on Language Production held in August 2005 in Maastricht. The volume is an overview of new directions within language production research and includes papers on word selection and its modelling, the production of pauses in sentence production, the interaction between spontaneous gestures and speech, and changes in language production behaviour in ageing. N. Schiller, V. Ferreira, F. Alario, Words, Pauses, and Gestures: New Directions in Language Production Research. F. Ferreira, Prosody and Performance in Language Production. E. Belke, A.S. Meyer, Single and Multiple Object Naming in Healthy Ageing. S. Kita, A. Ozyusek, S. Allen, A. Brown, R. Furman, T. Ishizuka, Relations Between Syntactic Encoding and Co-speech Gestures: Implications for a Model of Speech and Gesture Production. A. Roelofs, A Critique of Simple Name-Retrieval Models of Spoken Word Planning. W. La Heij, P. Starreveld, J.R. Kuipers, Structural Complexity is Not the (Big) Issue: A Reply to Roelofs (this issue). A. Roelofs, On the Modelling of Spoken Word Planning: Rejoinder to La Heij, Starreveld, and Kuipers (this issue). Professor Niels O. Schiller is at the Leiden Institute for Brain and Cognition, Leiden University. Victor Ferreira is an Associate Professor at the University of California, San Diego, USA. F.-Xavier Alario is at the Laboratoire de Psychologie Cognitive at the Universite de Provence, France.